Having a lock pick on-the-go helps for everybody, especially commercial locksmiths who can go in and out in a jiffy. They have all the tools and accessories, from the basic to the advanced, in getting locks fixed and picked. They use the best made tools for all openings of doors, windows, and locks. With different picks and their sets, plus other forms of extraction, they can get the job done quickly. These are the different types of picks and some of them which are among the basically used and best. There is the hook pick, also called a “feeler” to get a hold of the bolt to open the lock; this is as basic as a pick will get. The half-diamond pick go after that pins itself, while the rack pick pushes all of the pins to the line for it to open. Then, there are specialized keys to simply go and open up, such as the skeleton key, which opens warded locks, and bump keys, which are specialized thin keys to go in and, with some added torque, can fit in and open the lock. These picks have also gone electrical to cut down on the manual labor it takes to stick it in. GOSO 24 Piece Lock Pick Set- It is a very popular lock pick set that works for professionals and amateurs. It has a ton of features to tackle all of the tricks in piece locks and can be found online quite easily. H&H Folding Lock Pick Set Multi-Tool Pocket Locksmith Jackknife – This pick set features rakes, key picks, and tension tools; all are made of stainless steel and has top-notch quality which is durable. It’s small, yet very usable, which can be simply be pulled out of the pocket or remain attached to the key ring. SouthOrd PXS-14 Lock Pick Set- It is the basic use for doorknob locks, deadbolts, and padlocks. All 14 pieces are made from top-notch spring stainless steel. Pistolpick – This is the go-to tool to open up those pesky pin and disc tumbler locks. Quick squeezes hits the pick needle and raises the pins to the line. Slim Jim – Not the meat stick, but the two-foot long car picking tool that opens up from under the window in the event the keys are inside. That way no window needs to be smashed open. Hudson Lock Quick Reset – This is a tubular lock picker which is just like a bump key and simply goes at all pins in standard locks with the strength of its made stainless steel. 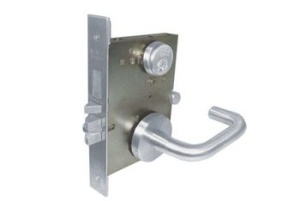 These are the type of locks and its specific brand tools that are highly efficient and get the job done. This is what locksmiths carry around for any scenario, for the toughest of locks, at any given time. They need the best of these tools to get the job done. 2018 Best locksmith picks http://713locksmith.com/2018-best-locksmith-picks/ 4.0/5 based upon 19 reviews.